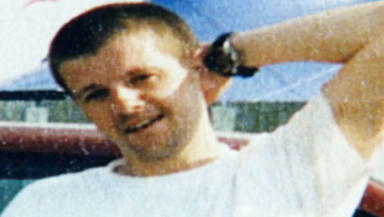 James Toner moved to Goa ten years ago after his brother Martin was murdered in Glasgow. James Toner moved to India ten years ago for a fresh start from a life besieged by heartache since his younger brother was murdered. But his plans for a new beginning were soon destroyed when he became caught up in a police corruption scandal and arrested over drugs. As he battled to clear his name, he found himself sharing a small rat and insect-infested cell with 20 other men including murderers, rapists, kidnappers and feared gangsters. Toner, from Castlemilk in Glasgow, wasn't one for keeping his head down amid the madness which would have broken many others over the next ten months. He made friends for life by standing up to an infamous gangland killer who was bullying other prisoners. And such was his popularity, the Celtic fan would eventually have fellow inmates decked-out in green-and-white hooped shirts sent from back home. 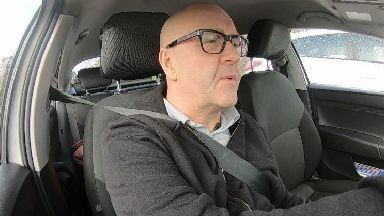 Now back in Glasgow and working as a taxi driver, the 53-year-old recalled his decision to move to India after his brother Martin was killed in what remains one of Scotland's most high-profile unsolved murders. Toner, who has detailed his experiences in a new book, said: "When I went to India, although I didn't know it at the time, I was running away from myself. "My brother had been murdered and I had fallen back into some of my old ways and was driven by fear. "I had isolated myself from friends and family and at the time I was thinking that I was going to go and write a book about Martin's murder and how everybody was this and everybody was that and it would have been a lot of rubbish." Martin Toner was 34 when was found dead in June 2004 having suffered several stab wounds and his throat cut. And despite a high-profile court case in 2015, no-one has ever been brought to justice for his death. 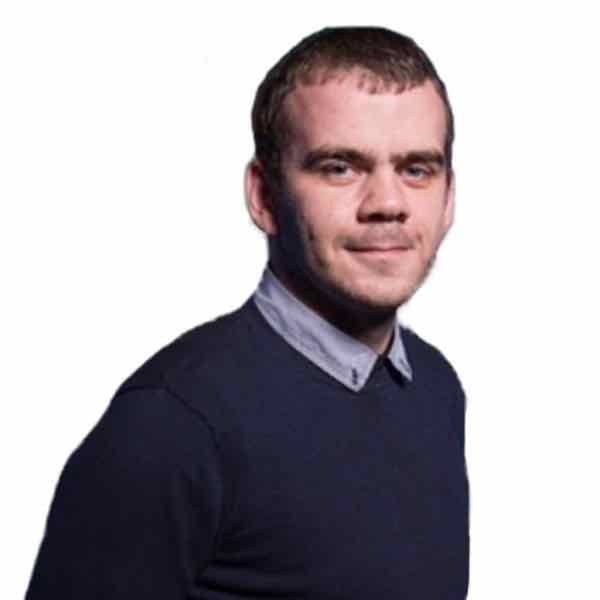 Struggling to deal with the murder, teetotal James, who had been an addiction worker with young people, quit his job and found himself turning to drugs. He said: "My life just went to freefall again. "I just built this big wall around me to keep out anyone who cared about me, or was trying to reach out to me." To get his life back on track he made the trip to India, initially for six months, and decided that if he could sustain himself he would never return to "harsh reality" in Glasgow. Martin Toner: James's brother was murdered in 2004. 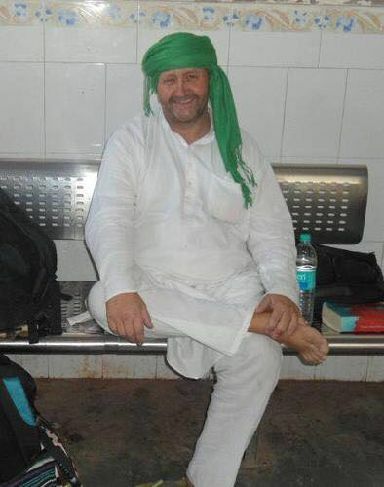 He spent his time sightseeing and enjoying everything the vast country had to offer from jungle trips and Delhi to the Taj Mahal and a ceremony to mark the closing of the border with Pakistan. But on his return to Glasgow nothing had changed - all the bad memories and feelings were still there and he felt like he couldn't move for people asking about his brother's murder. He said: "In India I was trying to put all that behind me and was succeeding. Glasgow would have drawn me back into all that 'gangster s***e' and I am no gangster." So he decided to return to the idyllic coastal state of Goa and was planning to stay indefinitely, but his new life fell far short of the Paradise utopia he had planned. Despite putting huge distance between himself and Glasgow, he couldn't free himself emotionally and turned to cannabis after meeting a local drug dealer. After going to buy a small amount for personal use, Toner found himself at the centre of a set-up and arrested by corrupt police officers who planted a larger and more significant amount on him. He was locked up in a cell, from where he would read in newspapers how the police were building a case against him on easily disprovable allegations. Toner said: "I had experienced being locked up before but nothing would have prepared me for what I was going to face in the jail in India. "It was a total shock. The first week was spent in a literal dungeon with other people coming and going throughout the week. 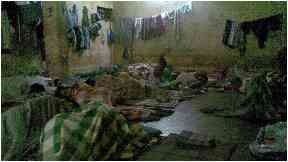 "The toilet facilities were just all covered in faeces, blood, vomit and spit, it was really terrible. "There was all these wee rats running about and as soon as it got dark thousands of mosquitoes just flooded in by their thousands. It was horrible." When he asked for a mosquito repellent, Toner was told he couldn't have one as a previous inmate had tried to use it to take his own life. Soon after he was moved into the main jail where he would share a room with 20 other inmates, with each man given a designated space on the floor at bedtime. It was also the monsoon season and a leak above his space meant he would regularly be awakened with a big splash of water to the face. But a damp bed wasn't to be the worst of his worries as he was about to find out that some of his new neighbours weren't exactly the friendliest of characters. He said: "99% of the prisoners were all right but there was certainly a couple of guys that you wouldn't want to hang about with outside the jail to put it mildly. "I'm not a fan of using words like good or bad to describe people but there were certainly some bad guys in there. There was evil in there, no doubt." Toner had been in jail for around ten months when a corruption scandal broke, incriminating most of the country's drug squad and all six of the officers involved in his case. Charges dated back to 1999, a whole decade before Toner was arrested. Toner's trial went ahead, bizarrely with officers facing corruption charges giving evidence against him. He recalled: "When I was appearing at court they would all be there facing their own charges but at the same time still being used as a witness in my case. "I would come into the court and they would be sat there on a wee bench greeting me like and old pal, giving it 'hello James Toner' with big smiles. "It was just a total farce and I was trying to say to my lawyer and the consulate that 'this can't be right, what is going on here?'. "But I had to get into my head that it was India and there was no real system, it's just the way it was." Eventually his trial collapsed and after four years in India, Toner was acquitted and finally able to return home to Glasgow, and his mum and teenage son, in late 2013. Now back home in Glasgow James has turned his Goa ordeal, and the characters he met there, into a book focusing on change and recovery. 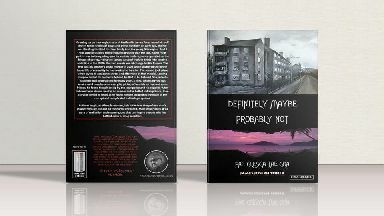 Definitely Maybe, Probably Not: From Glesga to Goa also tells of his upbringing in Castlemilk, his childhood trauma at seeing his dad drop dead at their home in apartheid-era South Africa, his battle with drugs and alcohol, his brother's murder and resulting trial more than a decade later. It will also focus on his battle with drugs and alcohol and how he eventually managed to turn his back on the vices that blighted his younger days. The book is available to buy online.